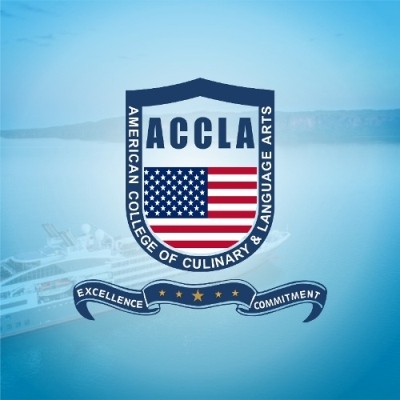 American College Of Culinary & Language Arts (ACCLA) is a one of its kind cruise line culinary academy in India, specialized in professional culinary education and distinguished for its high level of quality culinary training. ACCLA practices a unique culture of providing quality education in the field of hospitality, specialized in cruise line standards with a cruise culinary work environment.ACCLA as one of the most reliable, exquisite and unique culinary & cruise line academy. The corporate brand identity for ACCLA is designed inconsideration with the international standards of the cruise and culinary industry. The target audience for the brand are usually the youth as well as the international cruise liners who employ them . Hence the entire design is done to reflect Competencey, Loyality , Wisdom & Trust.